A 9 day adventure deep into the Los Alerces National Park. 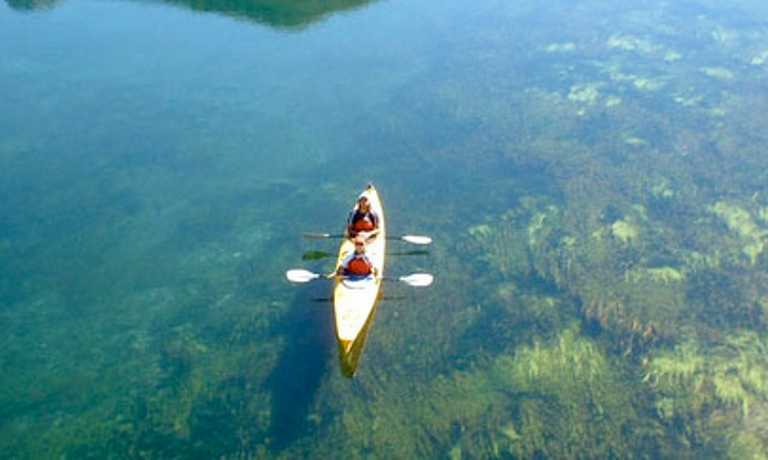 You'll really immerse yourself in the lakes and rivers of this wilderness, paddling to areas only accessible by kayak and spotting varied fish and bird life as you make your way through the pristine waters. 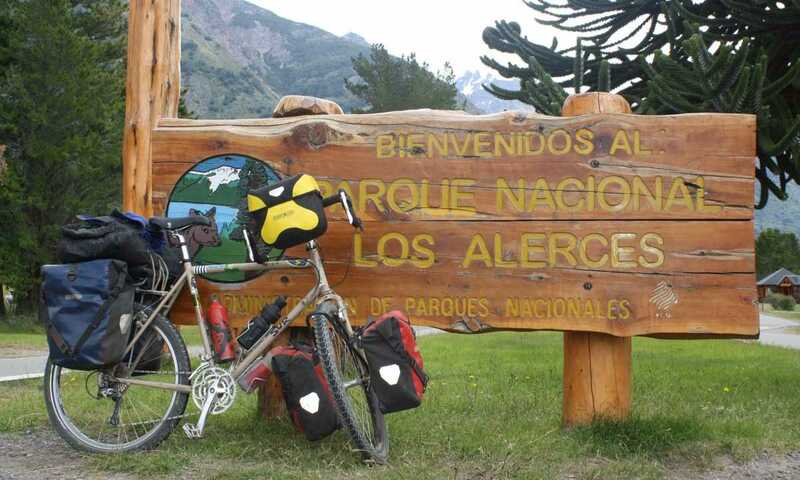 Begin and end in the hub of Bariloche, 150 miles to the North. We meet at the arranged place for the transfer to Lake Cholila, a distance of 150 miles. We will set camp here on the inlet of the Carrileufu river, deep in the Andes mountains, where we will enjoy our first night out. At dawn, after breakfast, we will get our kayaks ready for our first day on the Carrileufu river. This is a small river with a large water volume, without rapids but with several places with river trunks that do not involve much difficulty. We will be able to spot trout and a varied bird life while going downstream. This will be a long day, as we will aim to reach the mouth of the river on Lake Rivadavia and spend our second night camping here. We will plan our second day on the water during dinner. 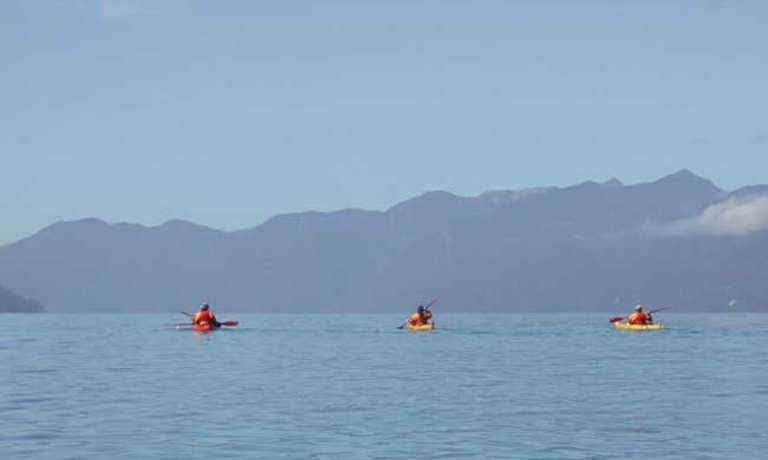 We will spend this day on Lake Rivadavia, guarded by the high peaks, until we reach the south inlet, where we will spend the night. We will begin our fourth day on Lake Rivadavia, although we will stay there just for a while, as we will soon be on the Rivadavia river. Stretching for over 5 miles, this breathtaking river has only one very small rapid, as well as several places with tree trunks. Depending on the water level, we will be able to navigate through or else be forced to walk along shore. Soon we will be reaching the small Lake Verde, which we will cross swiftly to reach the Arrayanes river, where we will enjoy our fourth night's camping. The schedule for this day out is to hike up to Port Chucao, on Lake Menéndez, where an optional boat excursion is available to visit two unique places: the Torrecillas Glacier, and a Larch Forest, where we will encounter "Grandfather" a 2,600-year-old endangered tree. Back in our camp, we will get our kayaks ready and paddle to our next campsite, on Lake Futalaufquen. After breakfast we will try to reach the Lake Krüger shelter, accessed only by water, where we will spend the night sleeping on a bed after enjoying a warm shower. This morning we will walk for two to three hours to get to know the area and give our arms a little rest. We will try to end our activities early, as the following day will be a long one. Spend the day touring almost the entire Lake Futalaufquen, navigating it's silver-blue waters. 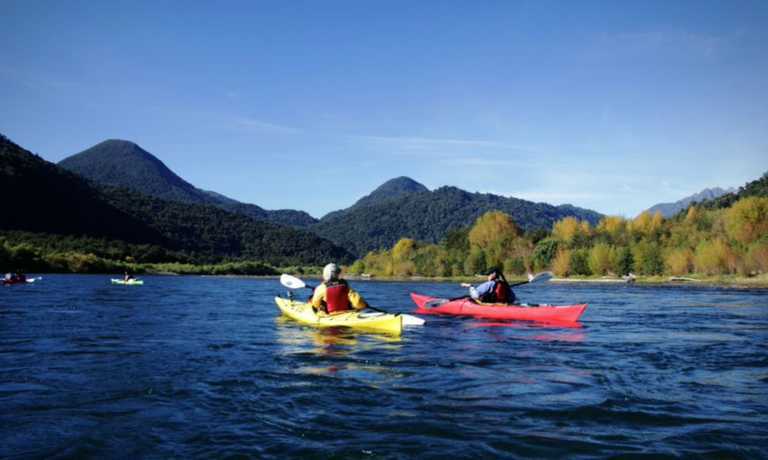 The name translates to 'big lake', and it is the source of water that ultimately flows into the Rio Futaleufu ('big river'), one of the world's most renowned whitewater rafting rivers, and one that flows all the way to the Pacific ocean. When we reach the south end, we will spend our last night at an inn. On our last day, we will travel to the town of Esquel, where we will spend the morning and further return along a paved road to the town of Bariloche. Price from USD $3,000 per person. Please get in touch for more information on departures.